A well respected and a savvy professional of the luxury real estate industry on the Westside, Fiora Aston is admired as a top producer in Los Angeles and continues to excel in her field. In her 25-year career in the business she has been bestowed with several awards for her production and innovation. Fiora holds a Master’s degree in City Planning from British Colombia University and her experience as a city planner for the City of Vancouver provides an immense and decisive value for her clients. In addition, Fiora’s unique approach, skilled marketing, networking and her experience in negotiations are assets of her stellar service. “I have known Fiora for many years and she is a consummate professional,” says Betty Graham, President and Chief Operating officer of Coldwell Residential Brokerage Greater L.A. “She is delightful, helpful, understanding, responsive and she truly cares about her clients' needs. She also has market knowledge that few can match. We are extremely fortunate to have her in our team”. Giving and helping has always been a goal for Fiora. She has been involved with Westside Children Center, a nonprofit agency supporting under-privileged, vulnerable children and their families in West Los Angeles. 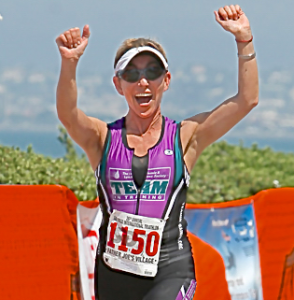 She has participated in many charity triathlons to raise money to help research for a cure for the deadly diseases of leukemia and lymphoma. Fiora lives in Pacific Palisades where she immerses herself in outdoor activities. She enjoys life and shares her love of the Southern California lifestyle with her husband and daughter. 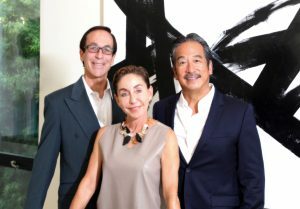 If you were to tally up time spent in the residential real estate industry by seasoned agents Ron Wynn, Steve Sawaii and Fiora Aston of WSA-Coldwell Banker, you would have a combined total of 100 years. Add to that their constant collaboration and expert research skills—not to mention the support of Coldwell Banker’s vast network of resources—and you have a team that is ready and able to provide their clients with the most accurate information available when it comes to making the proper decisions about buying and selling a luxury home on the Westside. “We are confident that our brand — WSA and Coldwell Banker Global Luxury Division —provides our clients with the most superior representation without exception,” says Aston. And that’s proven: these respected and savvy partners are consistently ranked in the top 1 percent nationwide as part of Coldwell Banker’s Elite designation known as Society of Excellence, and among the company’s top-100 producing agents in Southern California. The Wall Street Journal also has named them among the top 100 agents in California.